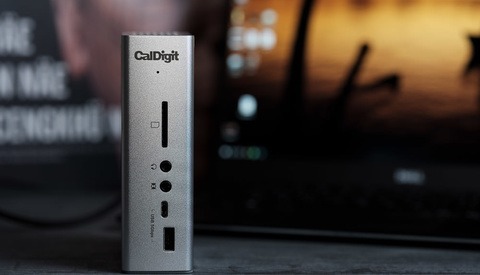 When SD cards first began to take over our professional card slots, it was a bit difficult to transition from the ever-strong CompactFlash card that never let us down to the easier-to-lose, flimsier, slower SD card. While transfer rates improved, however, SD cards still felt cheap. The little ribs that separate the contacts and always seem to break never helped in that department. Meanwhile, there’s the ever-present fear of accidentally locking in all data on the card by breaking that side switch — I don’t know of a single person that uses that feature anyway. 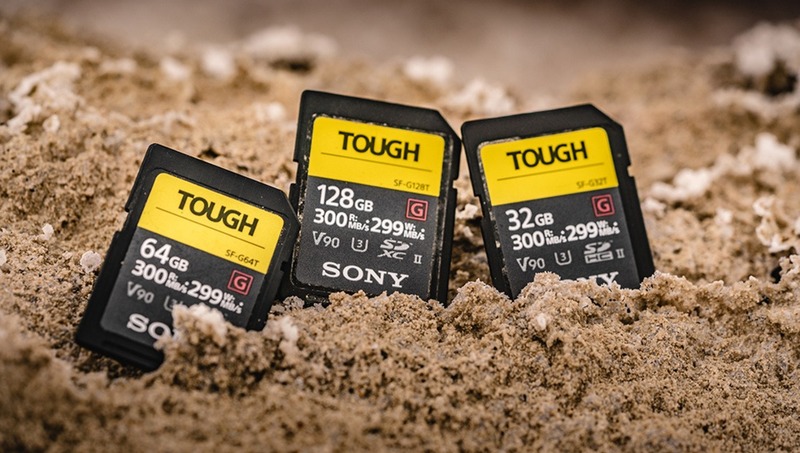 Enter the Sony G Tough series SD card. The card is completely smooth with just a small, standard dip where the UHS-II-style contacts begin. Built of a stronger plastic, you can try all you want to break it, but you’ll be hard-pressed to do so with your bare hands. Sony says with its 10N rating, this card is 18 times stronger than a standard SD card. It’s about time. It also has IPX6 dust-proof and IPX8 waterproof ratings. Of course, nothing is guaranteed; and don’t plug this thing into your reader when it’s wet. But these cards should easily last 72 hours at a depth of five meters. And there’s only one speed: fast. Let’s talk about speed for a moment. This card is plenty fast. As a UHS-II card, it supports the highest speeds available in the form factor. While burst rates can hit 300 MB/s and 299 MB/s read and write speeds, respectively, a test transfer of a 20 GB folder of images both read from the card and wrote to the card at a tad over a still-respectable 90 MB/s, which is its minimum sustained transfer rate. Naturally, a single, large file would transfer quite a bit faster. Needless to say, this card can support recording for any UHD or high-burst-rate devices out there without a hitch. Of course, quality doesn’t come cheap. 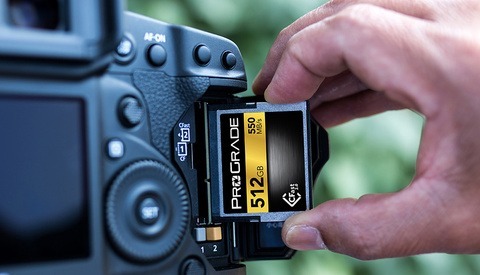 But at $121.49 for a 64 GB capacity at the moment, Sony’s Tough SD cards aren’t much more expensive than slightly cheaper (and less rugged) cards rated for similar speeds. SanDisk's 64 GB Extreme Pro card with similar specifications, but with only a 30 MB/s minimum sustained transfer rate compared to the Sony's 90 MB/s rate still costs $118.50. 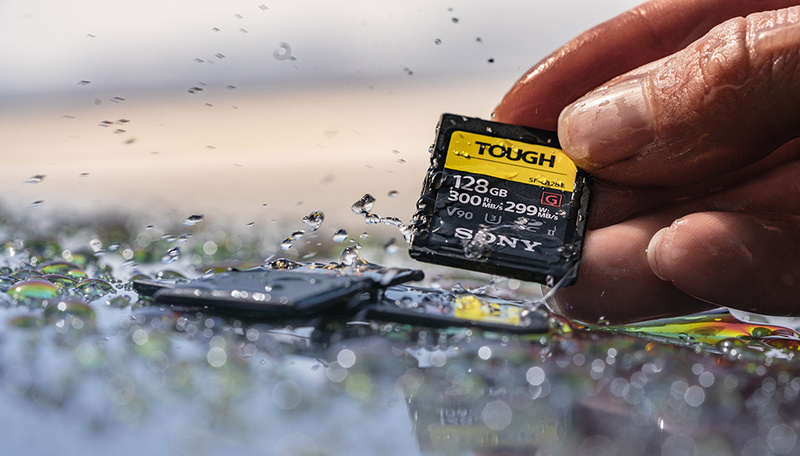 That makes it easy to recommend the Sony G Tough Series cards for anyone looking for a high-speed SD card. It’s a no-brained to go with something you know will last. The extra peace of mind is priceless, and it’ll hardly cost you a penny more (okay, $3 in this case). If you’re in the market for a high-quality SD card, there’s no question this should be at the top of the list. Sony is a trusted name in the storage market, and this card is the best I’ve tested in terms of durability without costing much more than an otherwise identical card. Compared to other options out there, it's really the "why not?" card. I’ll be recommending the Sony G Tough Series cards to anyone looking for the best until the next great thing comes out. The Sony SF-G Tough SD card is available now in 32 GB, 64 GB, and 128 GB sizes for $72, $121.49, and $246.69, respectively. [UPDATE]: As of Jan. 20, 2019, these cards are now ten percent off, making them an even easier pick. Don't knock the old cards too much. They were pretty tough. I had more than one go through the washer and dryer in a shirt pocket with no ill effects. I had a Sandisk card that stopped working in one camera. Sandisk replaced it under their lifetime warranty. The new Sony cards are nice. Impressed by the speed of both the SD & XQD cards. The first time I watched a XQD card upload GBs into my computer, I thought why would anyone want to use anything else. 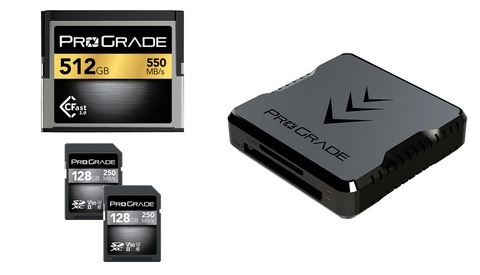 WTH are people doing to their memory cards that a company is making "rugged" memory cards? 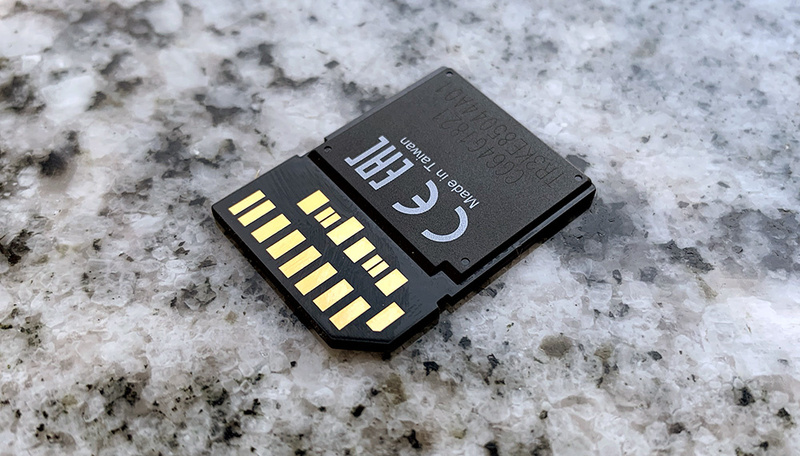 I've never had an SD card break on me, especially not the "little ribs that separate the contacts" and I've been using SanDisk Extreme Pro cards for years. Haha. Good point. Rugged is simply a selling point. When lacie brought out their 'rugged' portable hard drive I was first in line to buy one – because it was rugged! I didn't matter that it cost way more than the competition – it was bright orange and rugged. Prior to that I had been wrapping my h/d's in an old hiking sock and never had a problem. As for my SD cards (I am touching a wooden desk as I type) I've never had a problem. Like Peter Nord, mine have been through washers & dryers. I use them in high humidity jungles and then straight back into an aircon'd home and never have a problem. Theses cards are built like a tank, I really tried to bend one and failed; also the speed is 3 times faster than SanDisk card, twice faster than Sony's white G series card. I love my SanDisks but do wish they too would "do away with those pesky write protection tabs." I lost the use of a card after the tab fell off and can't imagine why it is necessary. I've never had an issue with my CF cards, which have never had a tab to my knowledge. I never had the need for "tough" cards. ive had sd cards for years. I will buy a drink for the person responsible for getting rid of the write protection tabs.